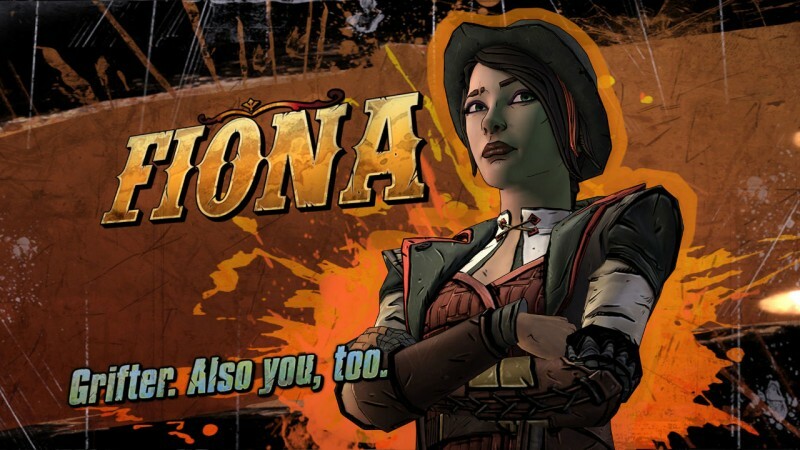 Story has always taken a backseat to loot collecting in Borderlands, so when Telltale announced it was working on a choice-driven adventure game set on Pandora, I was skeptical. While the first episode fails to evoke the fond memories I have for Telltale's superb work on The Walking Dead, I haven't completely abandoned hope for the adventure to come. Zero Sum stumbles out of the gate thanks to a forgettable first half focused on setting up the least interesting character in Tales From The Borderlands' cast: Rhys. When the Hyperion stooge is screwed out of a promotion by his ruthless boss Vasquez, Rhys cooks up a plan to buy a vault key out from under him, but the adventure takes far too long to become interesting. While Rhys is less smarmy than he initially seems, at the end of the day he's still an unlikable suit whose most notable characteristic is his cyborg eye – which doesn't do much other than pop up hammy jokes when you scan objects. The first half of Zero Sum also introduces you to Rhys' cowardly friend Vaughn, who spends most of the episode predictably jumping and cringing at every beast and psychopath he comes across. The first half of Zero Sum plays out like every Telltale adventure, minus the developer's usual charm and wit. Your dialogue options during the endless string of conversations feel forced and dull, the attempts at humor frequently fall flat, and the choices you make seem meaningless, as you step on the toes of the characters you're destined to become enemies with and get pushed into fights to showcase this series' approach to combat. The battles prove definitively that Telltale prioritizes story over gameplay. 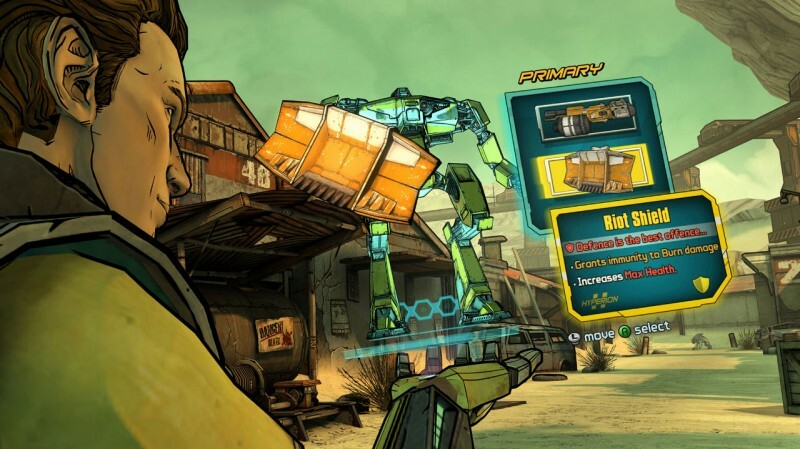 Players can customize the loadout of the mechanical loader bot that Rhys directs during combat, but the ensuing gunfight with Pandora's bandits still boils down to clicking on a few enemies and watching the resulting cutscenes. When Rhys does get his hands dirty, Tales From The Borderlands serves up a stream of tedious QTEs until the game is suitably convinced that you can press the corresponding buttons on command like a well-trained lab rat. 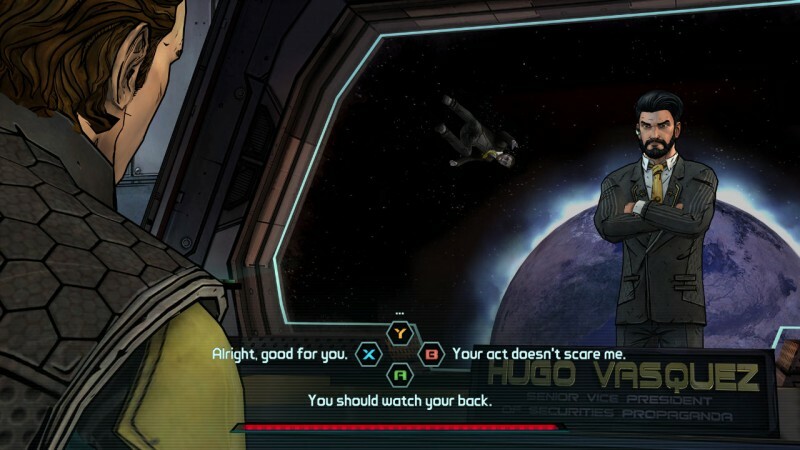 I never thought I'd say this, but the ho-hum combat sequences made me eager to get back to Tales From The Borderlands' conversations and decision-making, as initially underwhelming as they are. 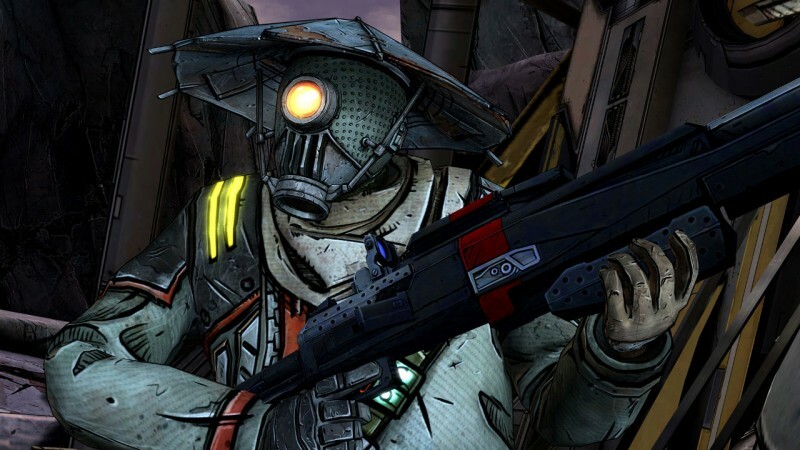 All of these events in the first half of the episode are retold by Rhys to a third party, which is by far the most engaging aspect of Tales From The Borderlands, as our narrator proves to be unreliable. Unfortunately, Rhys' humorous embellishments on past events are few and far between, and I found little reason to care about his or Vaughn's predicaments out of the gate. Thankfully, the second half constitutes a turning point in Zero Sum, as the narrative shifts to the second playable character, Fiona. The shrewd con artist's version of events fills in the missing narrative gaps from the first half and exposes Rhys as the foolish fish out of water that he is. Fiona, her sister Sasha, and their surrogate grifter father Felix, are all far more interesting characters than Rhys or Vaughn. I felt invested in their personalities and spent much longer mulling over the decisions I made as Fiona. Even with a strong second half, Zero Sum has its problems. Rough animations pervade the entire experience, and the characters occasionally seem more like marionettes than real people. The conversations are also hit or miss, including a confusingly disparate chat between Fiona and a bandit about being a driver. 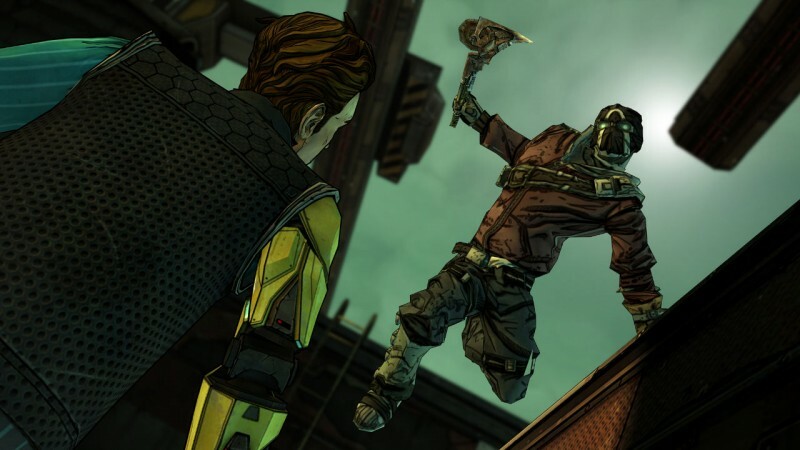 However, the episode does ultimately hit its stride and serves up some memorable and entertaining moments, such as a Mad Max-style death race where Vaughn shows some surprising courage, and a funny stealth segment where Rhys finds out just how hard it is to snap a psycho's neck. 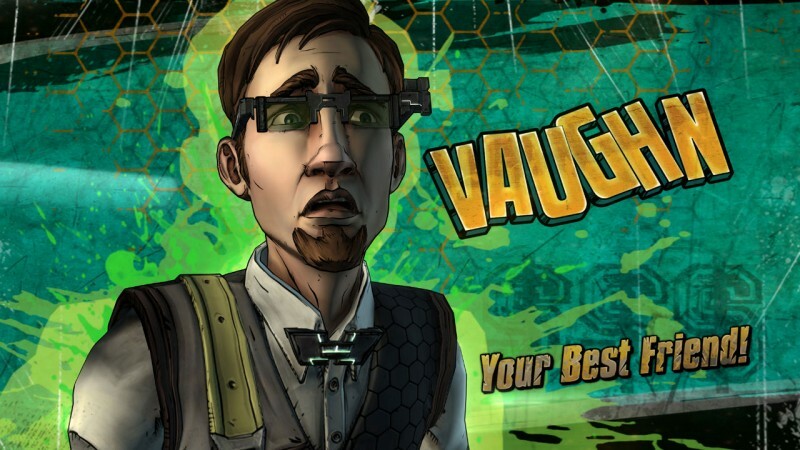 Vaughn and Rhys become more likable in the ensuing events as Telltale builds out their personalities and allows them to grow, though at this point they still constitute the weaker half of the show. Zero Sum goes out on a high note, with a few twists and surprises that have me eager to see where things go next. 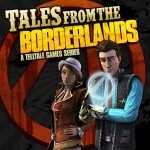 The solid ending doesn't excuse the sluggish beginning, however, and I'm still not convinced Tales From The Borderlands won't end up being another middling excursion alongside Telltale's forgettable Jurassic Park and Back To The Future series. Like Zero Sum's cliffhanger ending, the future of Telltale's newest series is currently anyone's guess. While the first episode fails to evoke the fond memories I have for Telltale's superb work on The Walking Dead, I haven't completely abandoned hope for the adventure to come.